Notes: Memorial located Canberra Museum, Canberra, Capital Territory, Australia. 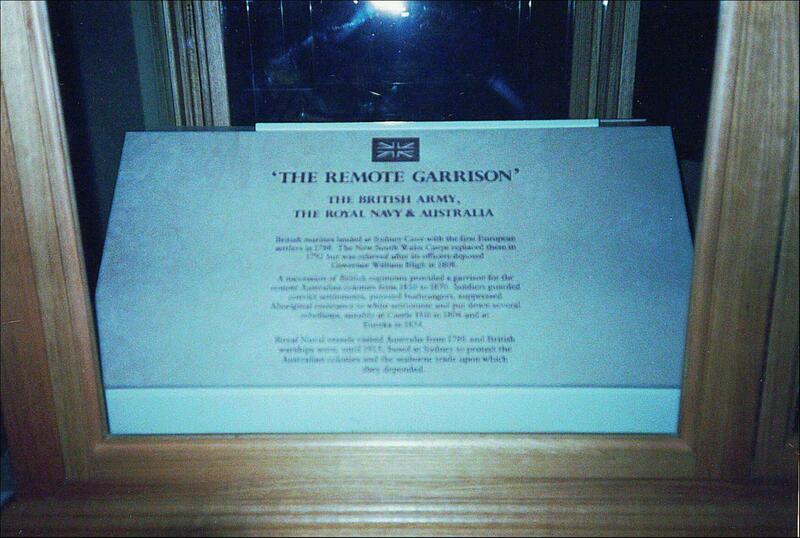 Inscription: British Marines landed in Sydney Cove with the first European settlers in 1788. The New South Wales Corps replaced them in 1792.